HOPE – The Hope Academy of Public Service, set to begin enrollment Monday, will be housed in facilities named for the 11th governor of Arkansas, whose life of public service included support for public education, and serving as governor, U.S. Senator, and U.S. Attorney General. Renovations are currently underway at the Garland/HAPS campus, originally named for Arkansas Governor Augustus H. Garland when the building was completed in 1948. The building houses 10 classrooms, with offices, restrooms and a general activity room on the campus fronting Sixth Street. The main building has not been in use for some time, and the bulk of the campus is the home of the ABC Preschool program. “What we have to plan for is how we are going to house the ABC program,” Hart said. That, he said, is the next phase in the facilities utilization for the campus. Much of the interior of the building remains intact, with substantial renovation including new carpeting, replacement of chalk boards with dry-erase boards, replacement of flooring, complete renovation of bathrooms, and upgrade of HVAC systems as needed. “This will be really nice when they’re finished,” Hart said. Plans call for the installation of a “pennant board” in the entry lobby where the pennants of colleges students plan to attend and where faculty members graduated will be displayed, he said. The idea is in keeping with the over-arching goal of the Hope APS to emphasize a rigorous course of study that will prepare students in grades 5-8 to become college ready upon high school graduation. The open enrollment academy will be centered upon a contract-based set of expectations and responsibilities for the student, the student’s family and the school which will be agreed upon at the student’s enrollment. Enrollment begins Monday and concludes April 4, based upon the first 200 applications submitted. Enrollment is open to all current HPSD students in grades 5-7 in 2016 and in grades 5-8 in 2017. Applications are to be submitted to Hart’s office at bobbyhart.hpsdistrict.org online, or by mail to Bobby Hart, Supt., Hope Public Schools, 117 East Second St., Hope, Ar.,71801. Enrollment applications are also available on the HPSD website at www.hpsdistrict.org online. Classes will begin in August, 2016, Hart said. Each student at Hope APS will learn in a blended learning environment through collaborative and individual learning and computer-centered instruction based upon a “personal learning plan” to be agreed upon by the student, the student’s family and the district at the time of enrollment. Hart has announced partnerships for the Hope APS with the William J. Clinton School of Public Service in Little Rock and the University of Arkansas Hope-Texarkana. Other partnerships with institutions of higher education are expected to be developed, he said. The Garland campus will retain its name as the home of the Hope Academy of Public Service. 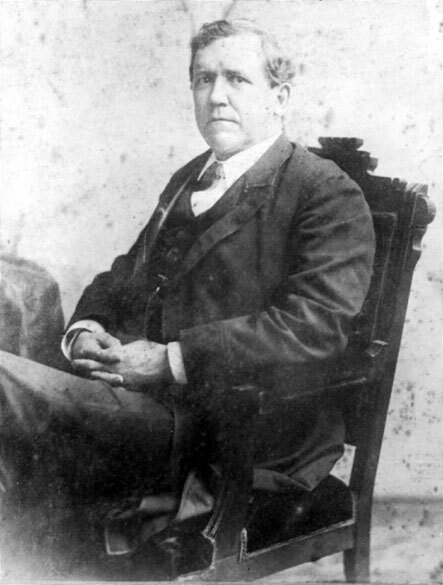 Augustus H. Garland, born in Tennessee in 1832, was reared in Washington in Hempstead County, briefly taught school in Sevier County, and entered the practice of law in the Hempstead County seat at Washington in 1853. He and his wife moved to Little Rock in 1856, where he continued legal practice, becoming among the most prominent of attorneys in Arkansas. He was admitted to practice before the U. S. Supreme Court in 1860, and was considered a constitutional scholar. Garland worked to maintain Arkansas’ loyalty to the Union and served as a moderating force in the Confederate Congress during the Civil War through his beliefs in constitutionalism and a strong central government, according to The Encyclopedia of Arkansas History and Culture. He returned to Arkansas to facilitate its return to the Union after the war, and was pardoned by President Andrew Johnson. Garland was the first governor elected under the 1874 Constitution in Arkansas. He was a strong supporter of public education, helping to establish what is now the University of Arkansas at Pine Bluff. He served in the U. S. Senate from 1877-1885, afterward becoming U. S. Attorney General in the Grover Cleveland Administration. He retired from political service in 1888 after Cleveland lost his re-election, and Garland died in 1899 while presenting a case before the U. S. Supreme Court.